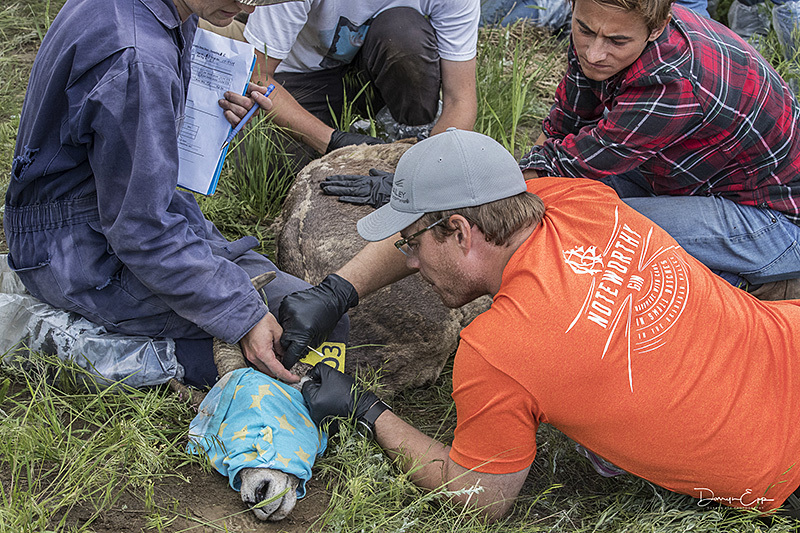 This little lamb is part of a herd of California bighorns were the test subjects in a project testing treatments for Psoroptes ovis, a microscopic mite that’s been causing big problems for some BC bighorns. The first confirmed case of this highly contagious parasite was in the Similkameen Valley in 2011. Psoroptes ovis, also known as sheep scab or psoroptic mange, is highly irritating to infected sheep, causing ear crusting and in some individuals, itchiness that drives them to rub out their haircoat and develop sores. Psoroptic mange is thought to be at least partially responsible in the decline of the one infested bighorn herd in BC and numerous infested herds in the United States. 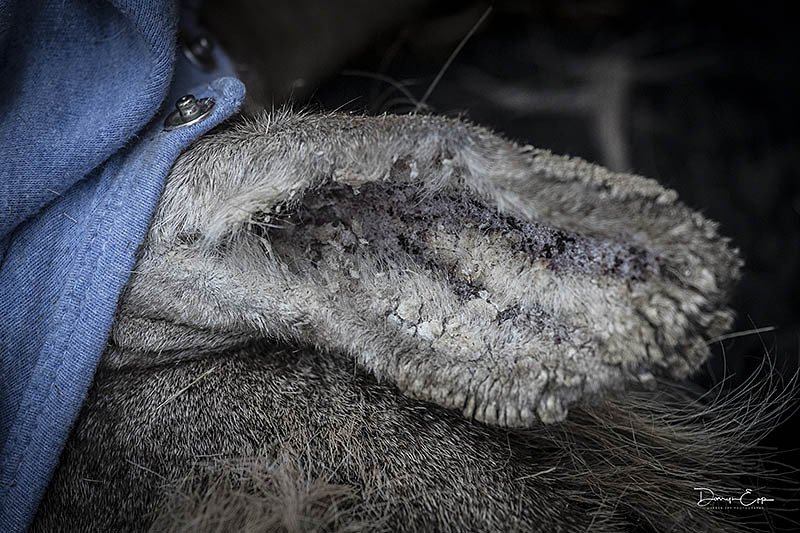 Not so cute: a closeup of the crusting caused by psoroptic mange on one of the bighorn sheep study subjects. Prior to this project being conducted, the only way to effectively treat Psoroptes was through multiple applications of every animal in a herd of an anti-parasitic – hardly a practical solution when dealing with wild animals. 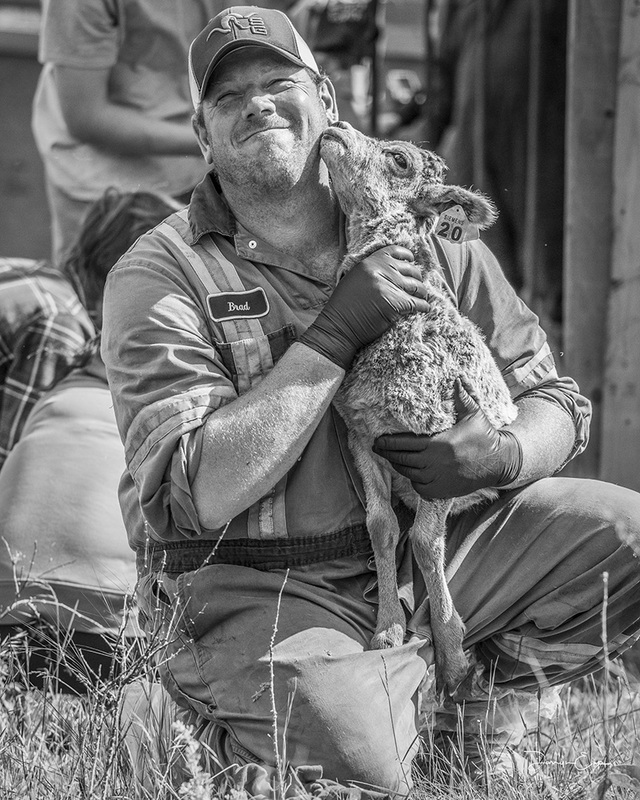 The goal of this HCTF-funded project, carried out as a joint effort between the University of Saskatchewan, the Government of British Columbia, and the Penticton Indian Band, was to try to find a treatment that could be delivered in a long acting single dose, greatly reducing both animal stress and costs associated with having to capture every wild sheep in a herd multiple times. 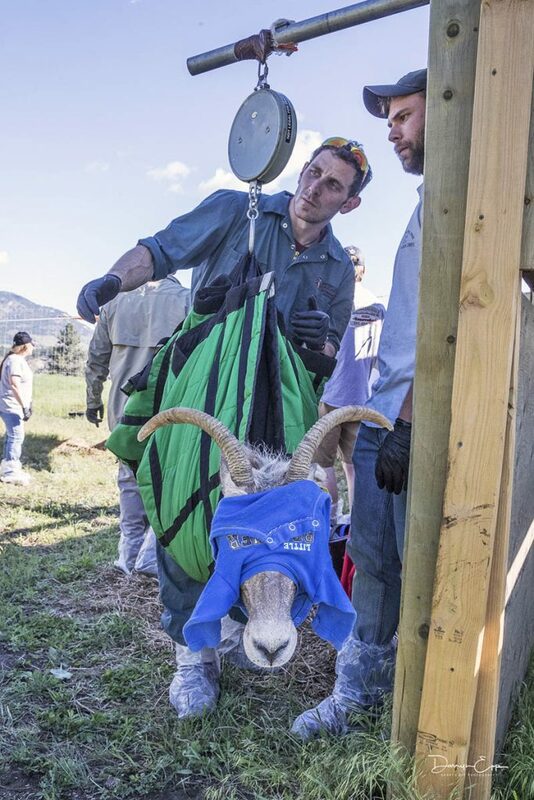 Onesie blindfolds are used to keep the sheep calm while they are weighed and treated. The first drug to be tested was LongrangeTM, an extended-release eprinomectin solution that had shown promise during pilot studies. 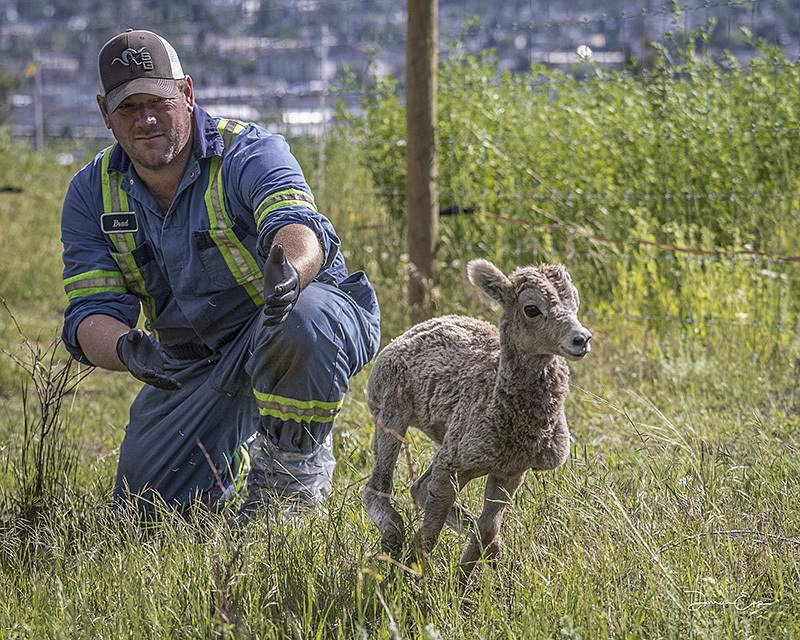 In the winter of 2017, Adam and his team captured 18 naturally Psoroptes-infested bighorns from Penticton Indian Band lands and housed them in one of two purpose-built wildlife enclosures. While in the enclosures, the sheep were fed, watered and carefully monitored, with sampling monthly to track the success of the treatment. 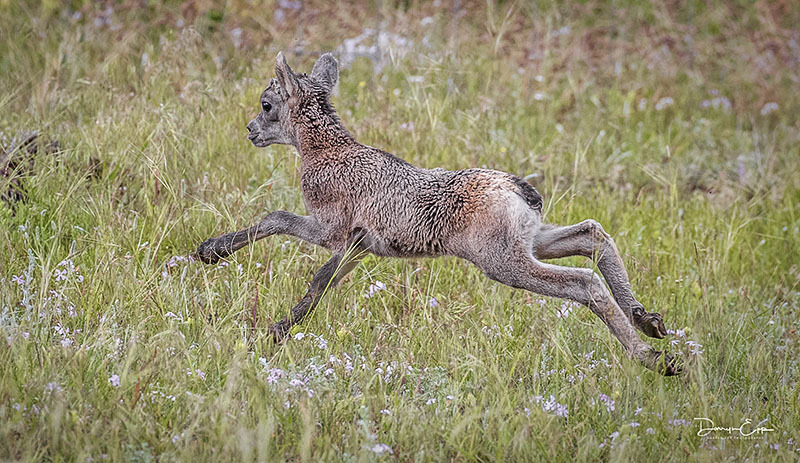 While there, some gave birth to bouncing bighorn lambs. Unfortunately, the LongrangeTM treatment proved ineffective, so Adam decided to try a second drug: fluralaner. In Canada, fluralaner is licenced under the brand name BravectoTM as an anti-tick and flea treatment for cats and dogs. Both topical and oral formulations were trialled and the oral formulation worked! No live mites were found in any ear crust samples collected from orally-treated sheep one month after treatment and ear lesions were also significantly reduced. 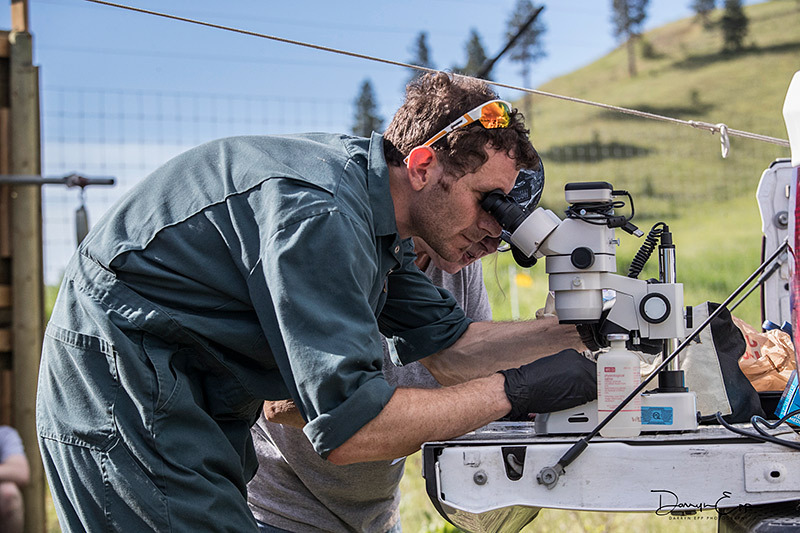 This project is also investigating where the infection in the Canadian herd originated and evaluating different methods of detecting disease in asymptomatic carriers to help prevent further spread of this parasite into currently uninfested Canadian herds. Further research is needed to find out how long Bravecto-treated individuals would be protected from reinfection and to ensure drug safety at different dosages and for different animals before moving forward with administering the drug in the wild, but this project’s findings are a significant step forward in discovering an effective tool for managing – or even eradicating – psoroptic mange in bighorn sheep throughout North America. 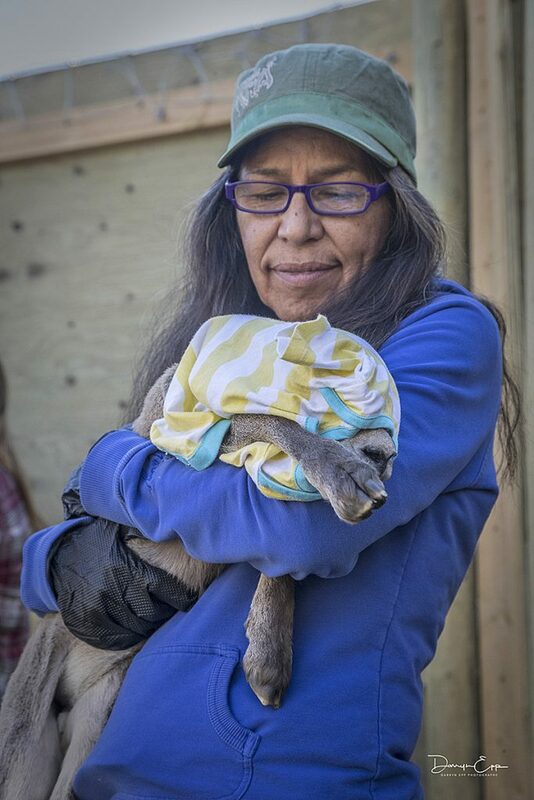 The bighorn sheep subjects were successfully released back into the wild (mange-free) at the conclusion of the testing. All of the photos were taken by the very talented Darryn Epp. Thank you Darryn and Adam for sharing them with us!